Day 03: Kochi – Munnar (148 kms – 4 ½ hrs drive): Morning after breakfast proceed towards Munnar, undoubtedly one among the most famous destinations of Kerala. 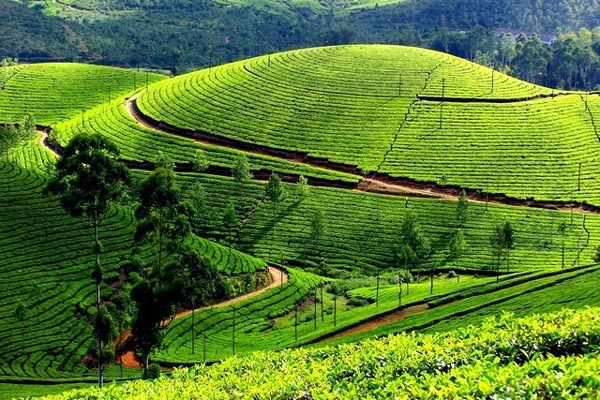 Enjoy your days in sprawling tea plantations, pristine valleys and mountains of the lofty Western ghats. En-route you will visit the Elephant Training Centre in Kodanad. Here you may take an elephant Safari. 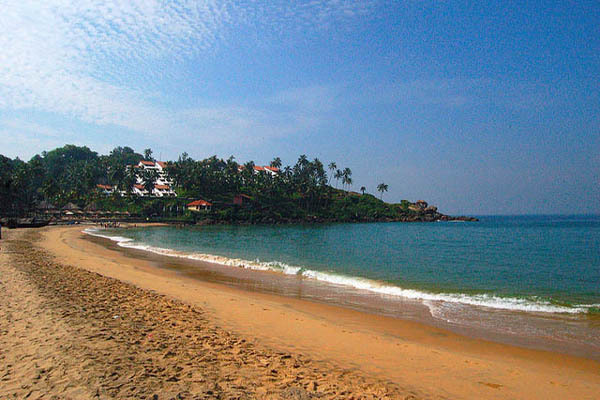 You may also visit Spice Plantations, Valara & Cheeyappara waterfalls on the way. 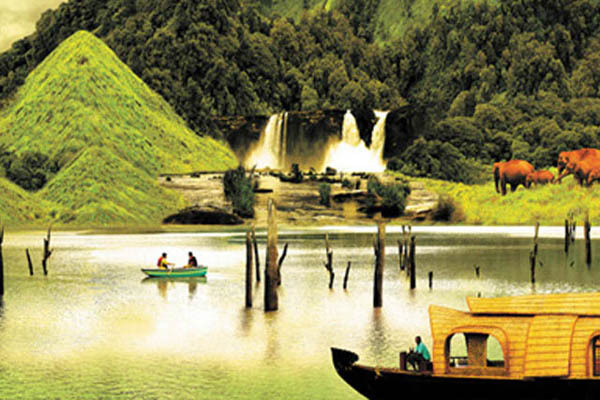 On arrival at Munnar, check-in at your hotel. Remaining time is at leisure till next morning. Day 04: Munnar: After a sumptuous breakfast, proceed for a tour to Eravikulam National Park where you can see the very rare mountain goats also called as the “Nilgiri Tahr”. Later you may explore the fascinating sights around Mattupetty Dam. You may also enjoy boating and horse riding at Mattupetty Lake. You may also enjoy trekking and bird watching in The Shola forests. Afterwards visit Echo Point, View Point & Tea Gardens. Day 05: Champakulam (174 kms – 4 ½ hrs. drive): Morning after breakfast drive straightway to Champakulam- a scenic villages situated on the banks of the Vembanad Lake. On arrival, check in at your exclusive home stay. 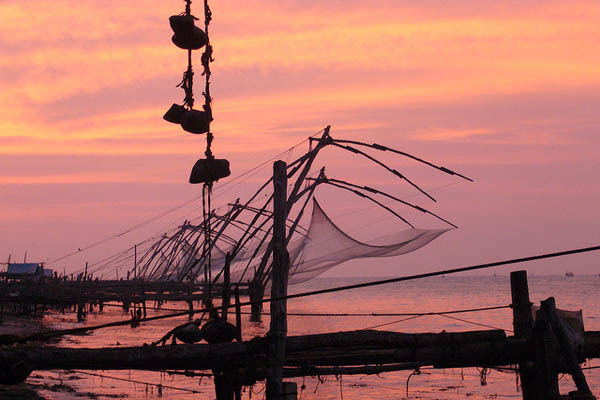 During the day you may visit the paddy fields, fisherman’s villages and local markets. Day 06: Champakulam: Day is at you discretion. During the day you may proceed for a farm track or may enjoy fishing. You may choose from array of activities available at Kait’s Home Stay. 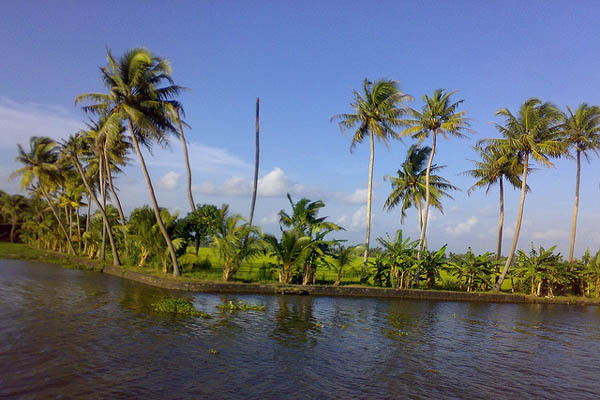 We would especially recommend a village walk and a short country boat ride over the backwaters. Day 08: Alleppey (Houseboat) (32 kms. – 50 minutes drive): Enjoy the sumptuous breakfast at your resort. Later you will be transferred to Alleppey Jetty point. Embark in your beautifully decorated houseboat (Kettuvallam) to begin your journey through enchanting backwaters. The houseboat cruise in backwaters is among the most exciting tourism products of Kerala. 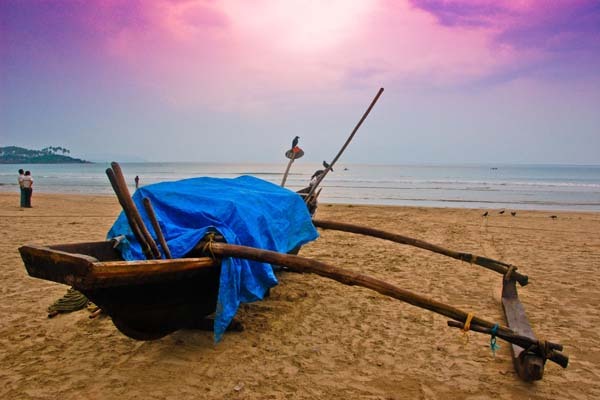 Since Kerala has large stretches of backwaters with plenty of natural sceneries (but only few interesting monuments for sightseeing), sailing through the houseboat makes it a wonderful experience. Enjoy the day sailing through the narrow emerald backwater canals of Alleppey. Day 09: Departure to Kochi (95 kms. – 02 hrs. ): Morning after breakfast, disembark from your houseboat and at appropriate time you will be transferred to Kochi airport for your onward journey. The tour ends here.